Don’t be afraid to play with your seasonings. I often will throw in some fresh rosemary, thyme and I have even put in some cilantro; experiment to see what you like best. If you do not have an Instant Pot you can put all the ingredients (omit oil) into your crock pot and cook low for 6-8 hours. Tried this last night instead of my tried and true Better Homes & Gardens (the old red plaid one) one that I’ve been cooking for almost 50 years. This was delicious besides being fast and pretty. Had a couple problems with ingredients that I didn’t have when I thought I did. That had nothing to do with the recipe that we could tell. It’s a keeper! 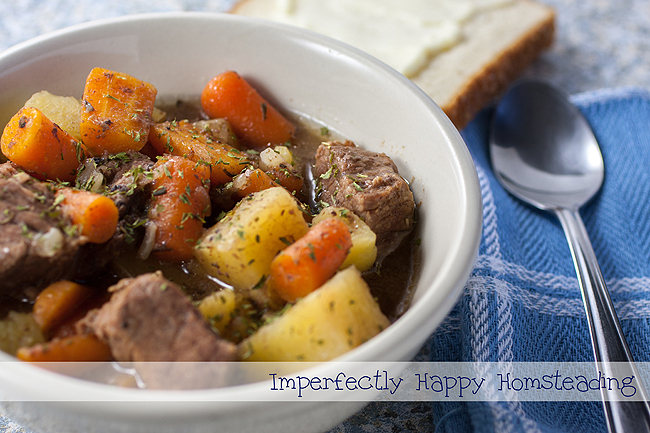 Even our son who has always LOVED “Mom’s Beef Stew” commented how good it was….Hubby too. Thank you for sharing it with all of us! Stupid kosher recipe. Butter on meat stew ??? Never claimed it was Kosher. Not sure why you assumed it was Kosher…leave the butter out if you prefer. I’m highly allergic to coconut…. what would you use as a substitute? Avocado oil would be great too.